Call 928-444-8966 to schedule your first appointment. Are you looking for a convenient location to get your hearing aids in Bullhead City, AZ? At Miracle-Ear®, our hearing aid centers are independently owned and operated. We have more than 1300 locations nationwide to meet the needs of the more than 36 million Americans who have hearing loss*. We’re aware that hearing aids can benefit nine out of ten people with hearing loss, and our goal will be to enhance your hearing so that you can hear rich sounds with one of our comfortable, custom-designed products. You can count on us because we have more than 70 years of experience in hearing health care. We’ll set you up with an appointment for a free hearing test** before suggesting product options that are specific to your hearing loss. We want to improve your hearing with our industry-leading products such as hearing aids which have our GENIUS™ Technology. With GENIUS™ Technology, you’ll be able to recognize speech better, utilize multiple programs for your optimal hearing, and even control your hearing aid with our mobile smartphone app†. Wouldn’t you like to have conversations you can hear and understand clearly with less annoying noises and feedback? At Miracle-Ear, we’ll help you find your way to better hearing. Contact our hearing aid center in Bullhead City today to learn more, or to set up an appointment with one of our Hearing Care Specialists. 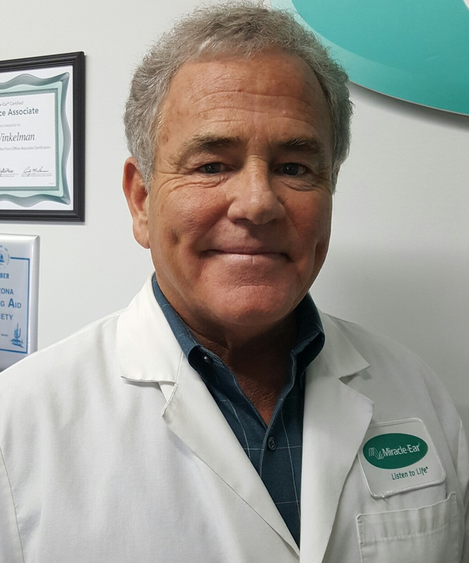 Thomas Nash is the Miracle-Ear Board Certified Hearing Instrument Specialist for 3 different locations in Arizona; Bullhead City, Lake Havasu City, and Kingman. He has been working with Miracle-Ear since 1984 where he started out as a consultant. Soon after, he moved his way up to Corporate Miracle-Ear where he became a Special Projects Manager, as well as a Regional Manager. Then, in 1987, he became the Franchisee for Mohave County. What Thomas enjoys the most from his career of 29 years, is the joy of helping his customers hear. ††If you are not completely satisfied, the aids may be returned for a full refund within 30 days of the completion of fitting, in satisfactory condition. See store for details.